Since the bankruptcy laws were overhauled in 2005, debtors have been required to complete two classes as part of every Chapter 7 or Chapter 13 bankruptcy case. Each debtor must take a Credit Counseling class prior to filing the bankruptcy petition; and they must complete a Personal Financial Management class prior to discharge. The Credit Counseling class is designed to focus on existing debts, while the Personal Financial Management session addresses budgeting and financial management issues. Both are an integral component of the bankruptcy proceeding. 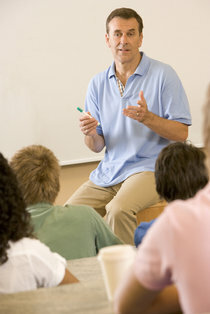 Both debtor education classes are available in person or online from a variety of providers. A certificate of completion for each class must be filed with the court. If you do not provide the court with the certificate of completion for the Credit Counseling class, your case will be dismissed and you’ll have to re-file. If you do not provide the certificate of completion for the Personal Financial Management course, your case can be closed without a discharge order being issued. Without that discharge order, you still owe all of your debts and your bankruptcy filing will have been for naught. To help ensure your bankruptcy goes smoothly, take both classes before the required deadlines and make sure you file both certificates of completion with the court. Verify that the course provider is a not-for-profit credit counseling agency which is approved by the Department of Justice’s U.S. Trustee Program. Your bankruptcy attorney can help you find a suitable provider and take care of filing the required certificates.